LucasFilm sent Major Spoiler a sneak peek of the new season of Star Wars: The Clone Wars that arrives this Friday on the Cartoon Network. The war wears on, and the Republic is pushed to its breaking point. 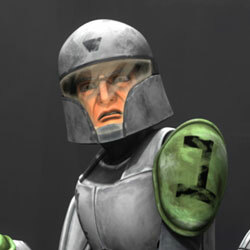 Support for the Jedi Knights and their noble cause comes in the form of valiant clone troopers – steadfast defenders of peace and justice, even as the Jedi falter and the mighty Republic begins to crumble. Joined by familiar faces and confronted with deadly new threats, these everyman heroes lead the charge into a transformative new season of Clone Wars adventures – where alliances will be tested, truths will be questioned and galaxy-changing secrets will be uncovered to shake the very foundations of the Star Wars universe. The next chapter of Star Wars: The Clone Wars begins with a must-see two-part premiere, airing at 9:00 p.m. ET/PT Friday, September 17 on Cartoon Network. 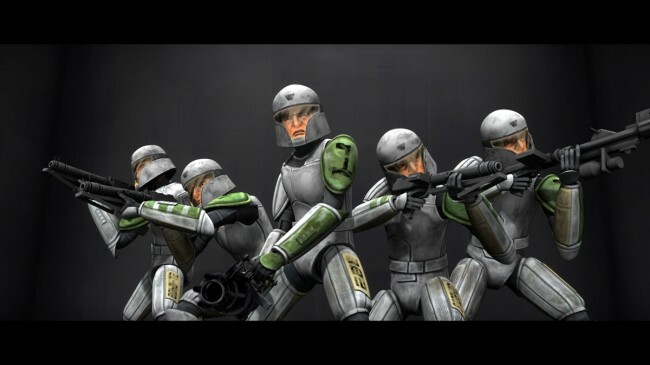 In “Clone Cadets,” five headstrong cadets – Hevy, Cutup, Droidbait, Fives and Echo – struggle to complete their training on the ocean planet of Kamino. Unable to work together as a team, they must learn to embrace their future as soldiers before they are drummed out of the academy. Can’t wait to see what LucasFilm has in store for the new season!